Can the Winnipeg Jets Really Win the Stanley Cup? Can the Jets Really Win the Stanley Cup? The start of the NHL season brings all the expert predictions out for all to see and debate. One of the most prevalent right now is that the Winnipeg Jets will win the Stanley Cup. 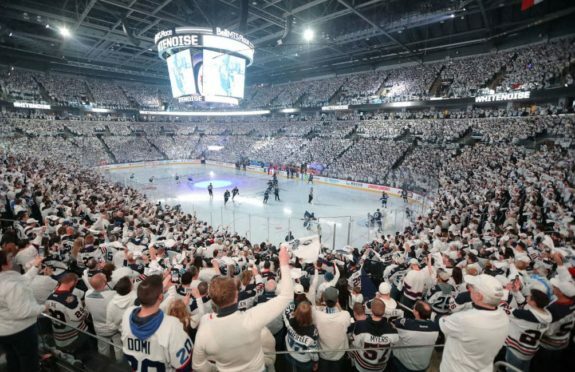 The Hockey News has been predicting the Jets will take it all in 2019 for years. They’re standing by their prediction at the start of 2018-19. TSN has partly joined them in that prediction as their venerable panel picked the Jets as Stanley Cup champs. For a city that lacked an NHL team for 15 years and dealt with a mediocre post-Atlanta Thrashers squad for years, it might seem too good to be true. Is it? Is a Stanley Cup coming to Winnipeg really within the realm of realism? Nothing is written in stone in the NHL, and even the seemingly most iron-clad predictions can falter. Who would’ve picked the Vegas Golden Knights to win the West last year? That said, yes, the Winnipeg Jets can win the Stanley Cup. The pieces are all there. Every ingredient that can make up a champion is there to be mixed. You could make a case that worse teams than the Jets have won in years past. Now we have to see whether those ingredients will mix into a champion. It’s tough to read too much into the opening few games of the regular season and the opening night lineups, that said, after the Jets opening 5-1 win against St. Louis, a few areas of concern emerge. First and foremost, the third defensive pairing is a definite weakness. Tyler Myers was a top trade candidate this offseason, and the Jets may have missed their chance to sell high on the 6-foot-8 defenseman. Myers was healthy all year last year, but even if he is again this year, the playoffs and the opening game exposed some weaknesses in his game. For a third pair defenseman, Myers is getting paid an awful lot and not producing much for it right now. Myers’ partner on that third pair, Joe Morrow, looked perhaps a little lost as well. Morrow is a depth defenseman, a seventh or eighth defenseman-type player, but if he’s taking a regular shift, the defense core is perhaps not where it needs to be. It seems silly to grouse after just one game, a 5-1 victory no less, but watching Myers and Morrow on the third pair, knowing a battle-ready Sami Niku waits in the AHL, was tough for many Jets fans. Both players will be heavily scrutinized all season. Another issue for the Jets seems to be finding a proper fit for their bottom six forwards. The top line of Blake Wheeler, Mark Scheifele, and Kyle Connor is set. As is the line of Adam Lowry, Brandon Tanev, and Andrew Copp Their middle six is more of a mixed bag. Nikolaj Ehlers saw alarmingly little ice time through the first half of the opening game. For a player coming off a career-high 29-goal season, and who played relatively well, that’s not acceptable. Meanwhile, Bryan Little doesn’t quite seem to be a fit with Patrik Laine on line two. The chemistry that popped up at times in Laine’s first season hasn’t really come around since, and that’s why Paul Stastny supplanted Little last season. So is it all doom and gloom after just one game? 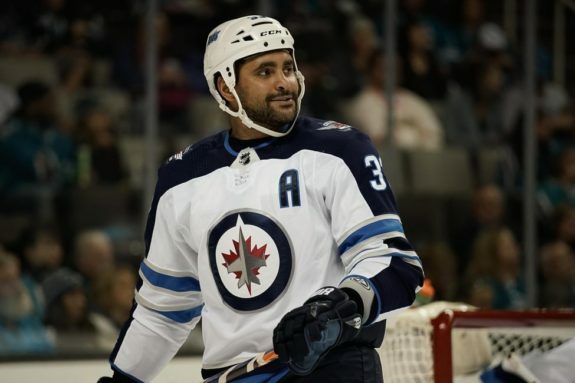 Are these minor nitpicks really enough to keep the Jets from winning the Stanley Cup this year? All of the complaints above may come to nothing, given what’s going right in Winnipeg. Whether the Jets will win this year or not, there’s no question this year marks their best chance. All of their young players are under contract and some (looking your way, Scheifele) signed absurdly team-friendly deals. The window for the Jets to win is now. It’s why they signed Wheeler to the contract they did in the summer. Right now, everything is coming up Winnipeg and they are unquestionably in their winning frame. Scheifele is one of the game’s best first-line centers. He’s flanked by two perfectly supplemental wingers with speed, skill, and tenacity. When your first line is that good, it takes a lot of attention off of a still-forming middle six that has skill, just no cohesion yet. Laine is one of the best young wingers in the league, a young Ovechkin in so many ways. He’s only just now the same age the Great 8 was when he entered the NHL, and many predict he’ll be a 50-goal scorer this year. 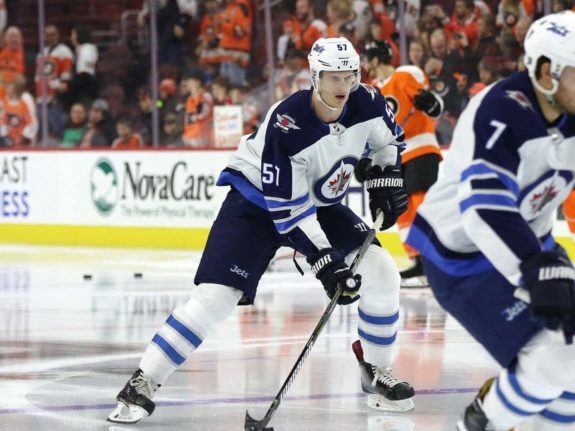 The Jets top defense pairing, returning from an offseason with fresh contracts, are Josh Morrissey and Jacob Trouba. They play on both sides of the puck as well as anyone. They and Dustin Byfuglien are arguably better than any defensemen the Pittsburgh Penguins had in their Stanley Cup win without Kris Letang. And then there’s goaltending. Some questioned whether Connor Hellebuyck could possibly repeat last year’s success. It’s too early to say he’s silenced his critics once and for all, but his opening game was that of a Vezina-caliber goaltender. All of the ingredients of a championship team are in Winnipeg for the Jets. They’ve got the top-tier goaltending and seemingly unbeatable offense. Their defense is good enough, and that’s been the theme of arguably the last three Stanley Cup champs. So can the Winnipeg Jets win the Stanley Cup? Yes, they can. They have almost all the pieces in place and many championship teams have started out the season with less. Will they win the Stanley Cup? Now, that’s the real question. And we won’t have the answer to that one until June. But the early outlook is strong.